Car detailing is a professional auto body service that helps restore the original luster to your vehicle. Car detailing services include car interior detailing, car exterior detailing, engine detailing, and à la carte services. Looking for car detailing near me? 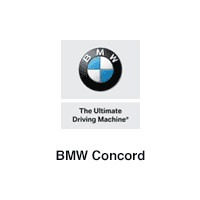 BMW Concord’s collision center is located just a short drive from Alamo and offers a range of car detailing services in Concord. The cost of getting your car detailed varies based on the size of your car and the place you’re getting it detailed. In general, though, you can expect to pay around $200 for an interior or exterior car detail, and between $25-100 for most à la carte services. If you want to protect your interior and exterior and make it easier to clean in Walnut Creek rely on genuine BMW accessories! Take Advantage of Car Detailing Services Near Walnut Creek at BMW Concord! Keep your car looking great with the auto body repair experts at the BMW Concord collision center, where we also offer services like auto body repairs, paint jobs, and dent repair. Our body shop is located near Lafayette at 1321B Galaxy Way in Concord, CA, and you can reach us at (888) 707-2861. You can also count on our BMW service team for all your standard BMW maintenance and repairs. In the market for a new BMW? Enlist the help of our BMW Genius team for help finding the right vehicle for your lifestyle, needs, and budget.